Touted as one of the most beautiful actresses of our times, Madhubala was a living legend while she was ruling Bollywood. Touted as one of the most beautiful actresses of our times, Madhubala was a living legend while she was ruling the Hindi film industry. In the span of 36 years, Madhubala garnered overnight stardom with films like Mughal-e-Azam, Chalti Ka Naam Gaadi, Mahal, Mr & Mrs 55, Dulari, Beqasoor, Tarana and Badal to name a few. 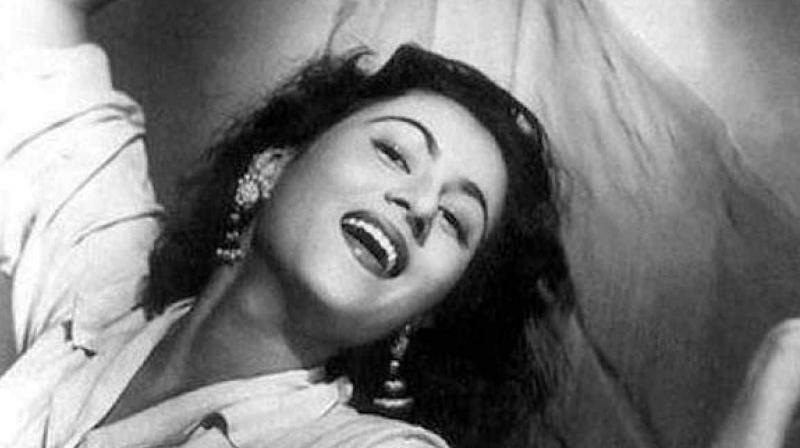 Known for enchanting beauty and dance, Madhubala was everyone’s dream. Madhubala was born as Mumtaz Jehan Begum Dehlavi on 14 February 1933 in Delhi, India. Her father Pashtun Attaullah Khan was married to Ayesha Begum. The veteran actress had three sisters and two brothers died at the ages of five and six. The dock explosion and fire of 14 April 1944 wiped out their small home. Meanwhile, the young Madhubala began to pay frequent visits to Bombay film studios to look for work. At the age of 9, Madhubala was introduced to the movie industry, which provided some financial help to her family. 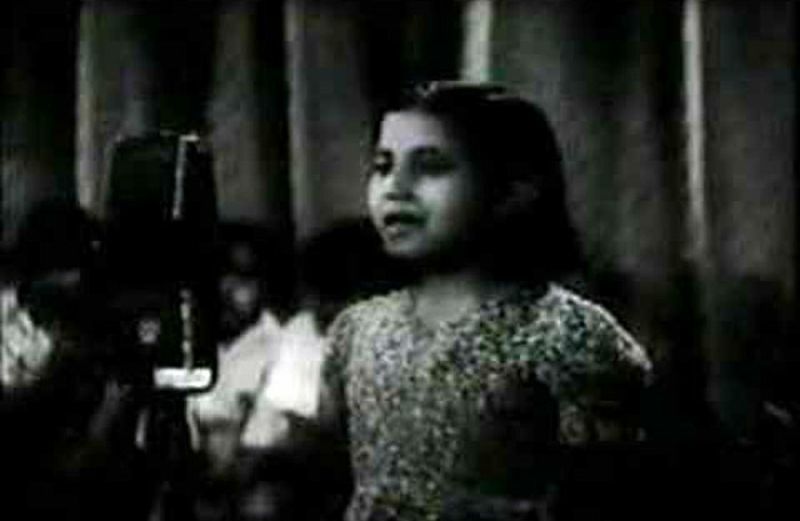 She was appeared in Basant (1942) as a child artist and that became a box office success. She acted as the daughter to a mother played by actress Mumtaz Shanti. Interestingly, Devika Rani was impressed by her performance and potential and gave her the name Madhubala. At the age of 14, Madhubala was paired opposite Raj Kapoor as a female lead in Neel Kamal (1947). She achieved her actual stardom in 1949 when she was cast as the lead in Bombay Talkies studio's Mahal. The actress was screen-tested for the role before she was selected by the film's director Kamal Amrohi. The film went on to become the third largest hit during that time at the box office. Mughal-e-Azam was released on 5 August 1960 and became the highest-grossing film at that time a record that went unbroken for 15 years until the release of the film Sholay in 1975. Madhubhala bagged nominations for her powerhouse performance in the film. It was Mughal-e-Azam that marked Madhubala's greatest characters ever in the history of Indian cinema where she played Anarkali. In 953, she was chosen for the role. 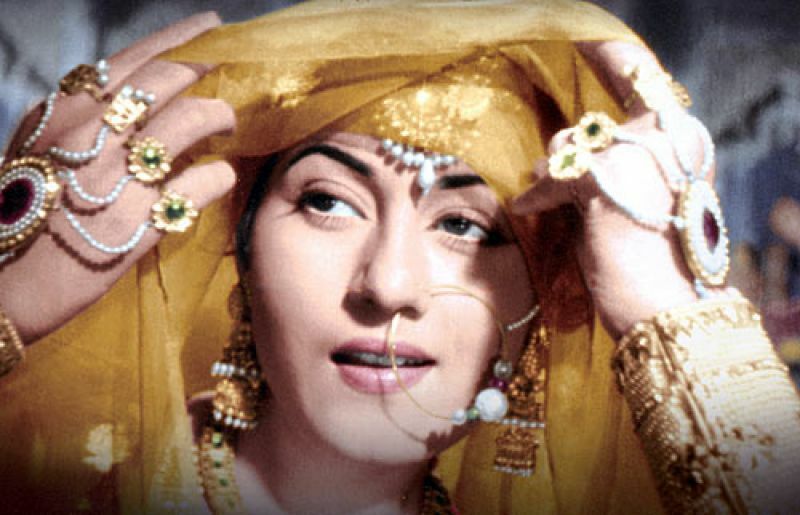 Mughal-e-Azam established Madhubala as one of the top notch actresses of that era. Madhubala in Mughal E Azam. 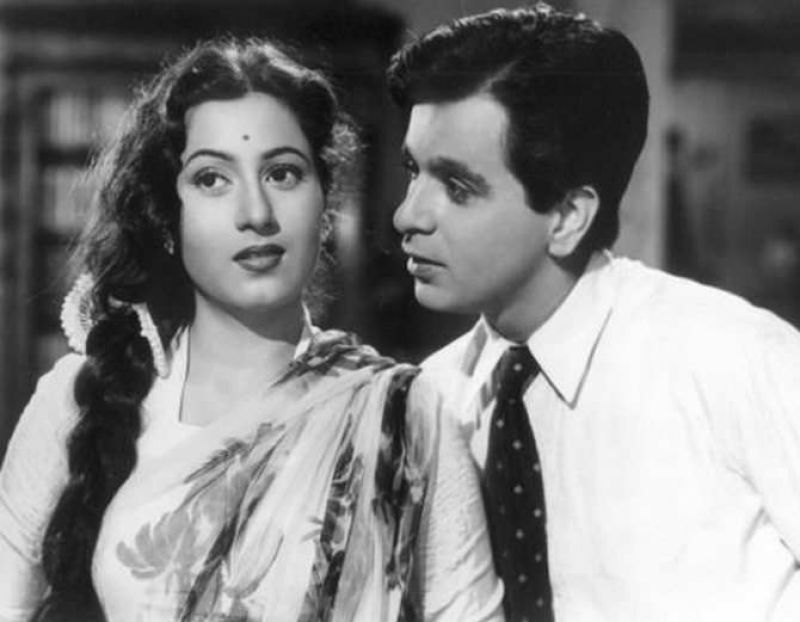 At the age of 11, Madhubala first met Dilip Kumar on the set of Jwar Bhata in 1944. However, the two worked again on the film Har Singaar (1949) which got shelved. Their relationship began two years later during the filming of Tarana (1951). Later, they did four films together. Dilip Kumar used to drive down from Bombay to meet Madhubala and he even flew to Bombay to spend Eid with her, taking time off from his shooting schedules. Although her father never approved their relationship but eventually agreed to it. Her father who owned his own production company, wanted to make a business venture out of their proposed marriage but Dilip wasn’t in a favour resulting his relationship with Madhubala ended. The actress met Kishore Kumar during the making of Dhake Ki Malmal in 1956. In 1958, when Kumar's marriage with his first wife ended, he and Madhubala began a relationship and married in 1960. Madhubala had a hole in her heart which was detected while she was shooting for Bahut Din Huwe in Madras in 1954. Her condition became worse by 1960 as she was confined to bed for nine years. In 1966, there was a minor improvement in her health and she completed her work in Chalak opposite Raj Kapoor. However, she couldn’t deal with the strain and her acting career diminished. In 1969, she even tried her hands on directing a film titled Farz aur Ishq but it was never made as she died on 23 February 1969, shortly after her 36th birthday, during the pre-production of the film.